Oktoberfest may have officially wrapped up this week, but we’re not ready to give it up just yet. 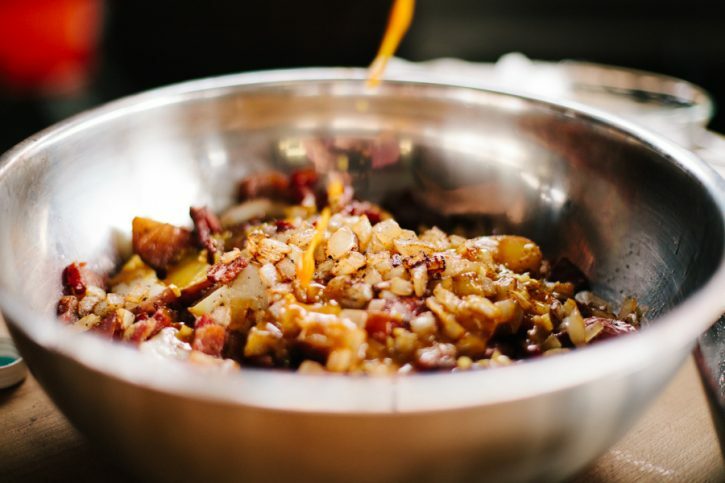 As the weather cools, this warm potato salad becomes a fantastic side dish to lengthen your grilling season! Simple grilled potatoes. A little oil, a little rub, a lot of flavor! 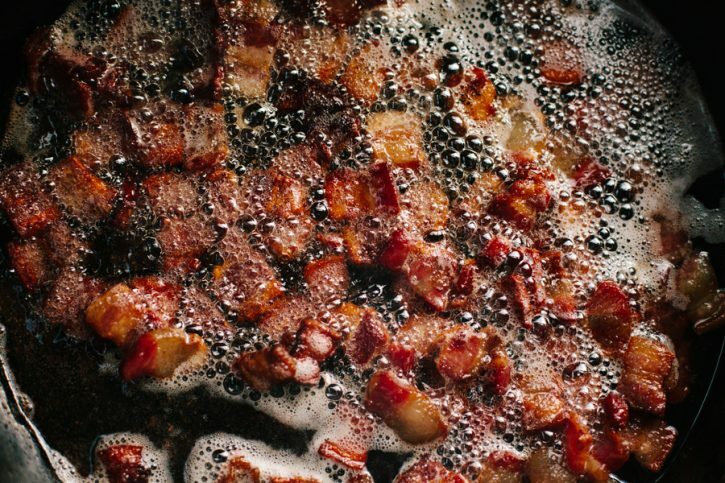 Just add bacon. Always add bacon! Combined with an easy sweet and tangy mustard dressing, you’ve got an easy and lovable Autumn side dish! Preheat your Yoder Smokers YS640 pellet grill to 400ºF. Rinse and dry the potatoes. 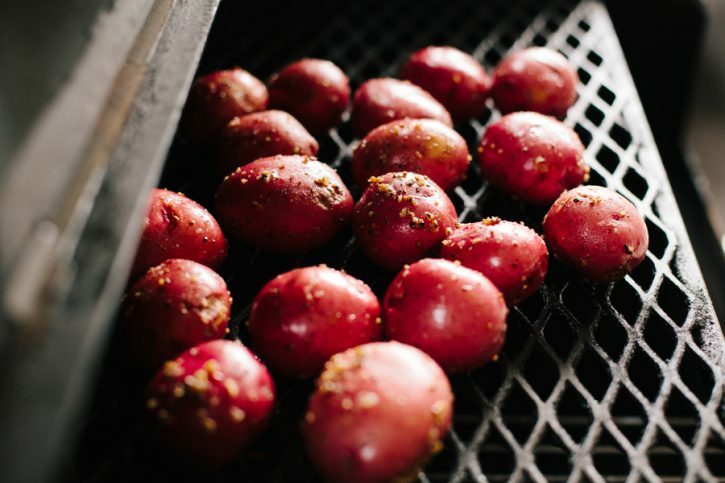 Rub the potatoes with olive oil, then season with Code 3 Spices Grunt Rub. Place on the second shelf of the grill and cook until tender when pierced with a knife, about 1 hour. 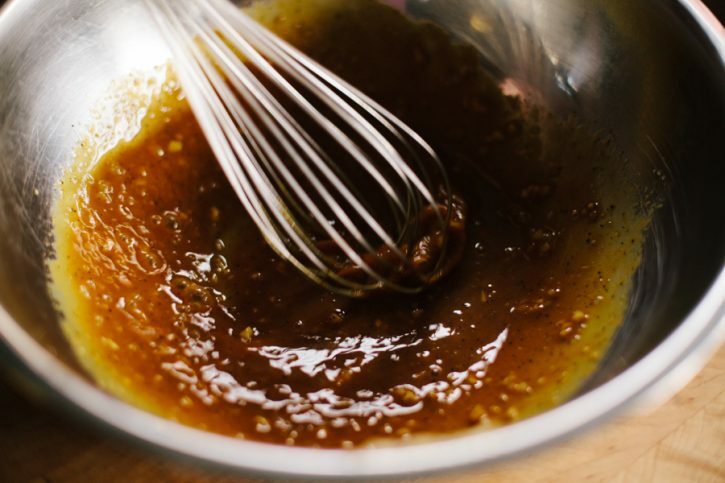 Whisk together the House of Q Slow Smoke Gold, vinegar, wildflower honey and garlic. 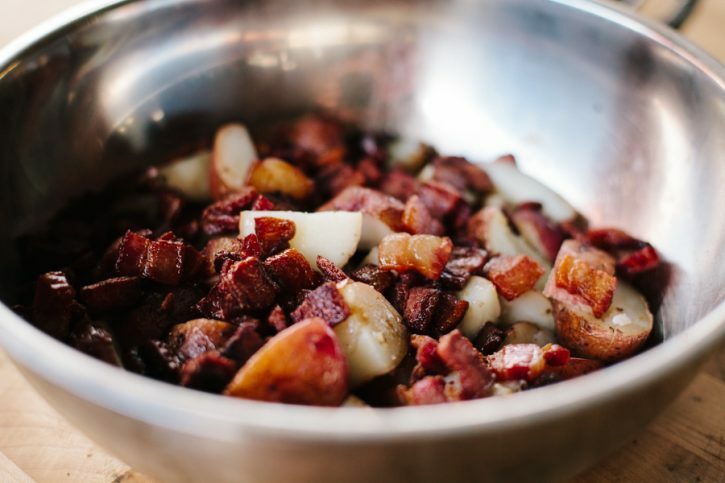 When the potatoes are tender, dice into bite sized pieces and toss with the dressing, bacon, and parsley. Taste and adjust seasoning, as necessary. Serve warm.